I suppose that we’re all still a bit more observant about the local economy following our adaptation to a very stressful recession. Although I don’t believe Charlotte felt the recession nearly as severely as other metro areas, we still felt it nonetheless. Our luxury home market in Charlotte is just now beginning to rebound from the lean years of 2008 to 2012. Governor McCrory and the Charlotte Chamber of Commerce have been tenacious in the pursuit of bringing new businesses to our area. Chiquita in recent years, relocated to Charlotte, although the company has been struggling a bit, be it no fault of our economy, is planning to move to Dublin. MetLife’s relocation came at a time that our economy was in the recovery process and has found that Charlotte was a great move for their headquarters. This move, however, is the largest Charlotte relocation move of corporate HQ in history! Sealed Air Corp. is a Fortune 500 company, known for making Bubble Wrap, announced 23 JUL 14 that it will move its headquarters to Charlotte, bringing nearly 1,300 (1,262) jobs. The company produces shrink wrap, food wrap, packaging materials and even medical supplies such as sterile applications and ostomy bags; their product line seems endless! Sealed Air Corp. average job salary is $119,482, compared to Mecklenburg’s average pay of $59,046 (2013). The company was also considering Greenville, South Carolina and Atlanta. Half of the new jobs will likely be transfers and the other half will be hired locally. Sealed Air Corp. employees about 25,000 and serves customers in 175 countries. The Charlotte campus has yet to be determined but, Sealed Air Corp. hopes to be in its temporary offices by the start of 2015. Those close to the company predict the new office will be located in the southern part of the city. The company spokesman said Sealed Air Corp. chose Charlotte because of its quality of life, climate, schools and also an aggressive recruiting effort from state and local officials. In 2013 Sealed Air Corp. reported a $94 million profit for the year, with a rise in sales of 1.7%, to $7.7 billion. We foresee prosperity and growth for Sealed Air Corp. as they make their way to the Queen City! WELCOME Sealed Air Corp.! We know you’re going to love it here! 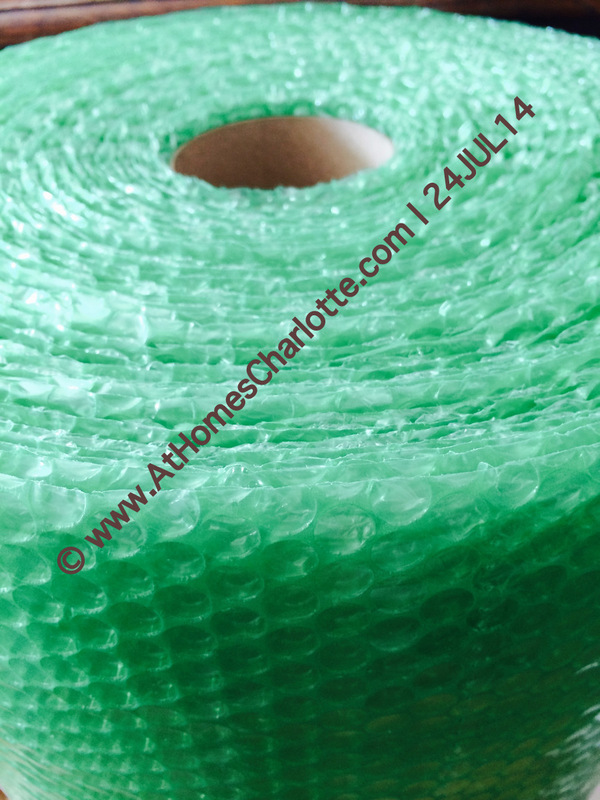 Trivia: Sealed Air invented Bubble Wrap in 1960, simultaneously founding the company. Bubble Wrap now makes up only 2% of the company’s sales. Relocating with Sealed Air Corp.? Here are some great resources for you. Charlotte NC Is Now the TOP BANANA! Charlotte NC CARMEL Park – What is My Child’s 2011-2012 School Assignment?